Well, another day has gone by, and yet again, someone working for the Donald Trump campaign has said something crazy that would normally set the whole race into a spin. Trump's campaign chair in Mahoning County in the perhaps-pivotal swing state of Ohio, Kathy Miller said in an interview with The Guardian she didn't "think there was any racism until Obama got elected. We never had problems like this." This is an odd point of view, considering that Miller seems to have been alive before 2008 and went to high school in the 1960s, when she would have presumably heard about the Civil Rights movement going on in the country and probably had to answer history questions about the Civil War for history class. In less than shocking news, Miller has subsequently resigned from the Trump campaign. But Miller is part of a strange thing happening in the Buckeye state, where Trump seems almost trying to lose, while simultaneously looking like he might actually win. Trump lost in Ohio during the primary, as the state's sitting governor, John Kasich, managed his only major victory in the primaries. Kasich beat Trump by 11 points in his home state. The two have noticeably not mended the fences wrecked by their primary battle, and Kasich made the nearly unprecedented move of skipping the Republican National Convention held in his home state's city of Cleveland. Moreover, the Ohio governor is making no bones about representing the GOP anti-Trump. While Trump was making a circus out of questions about President Obama's place of birth on Friday, Kasich was joining that very president in supporting the Trans-Pacific Partnership Trump so abhors. Kasich also later said Trump should apologize to Obama for birtherism. Picking a fight with the popular sitting governor from their own party is usually not how presidential candidates win swing states. Normally, national presidential campaigns depend on state parties that know the area well for help with turnout and outreach operations; namely, the Republican governor's people know where to find Republicans who could vote for Trump, what issues they care about, and how to get them to the polls. 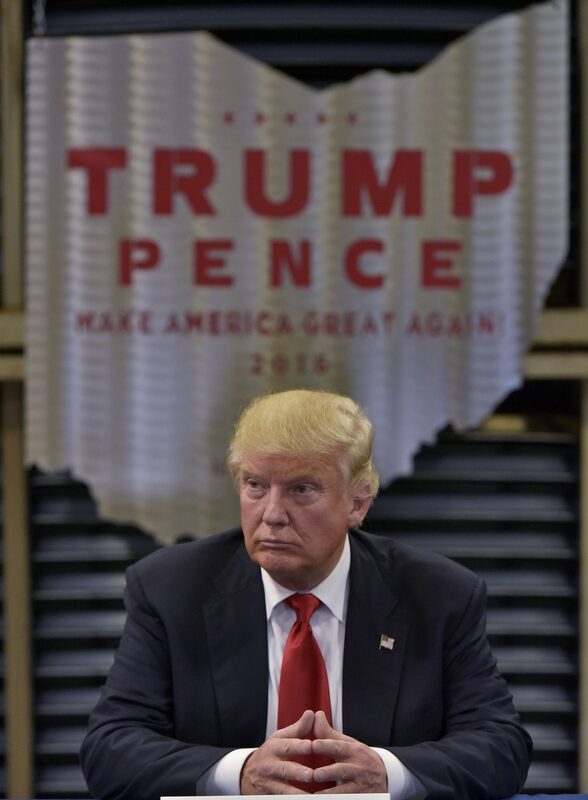 Instead Trump's campaign lagged in opening Ohio field offices and running campaign ads. But, despite a disorganized state campaign, both lacking in institutional party support and being hampered by public racist remarks, Trump seems to be... doing fine in Ohio. A recent Fox News poll found Trump up by 5 percent. Blue-collar Ohio (like, Miller's Mahoning County) seems like it may be the ground zero of blue-collar Democrats who feel that their party has become too elitist with Clinton at its head and are switching to Trump, along with many white Americans without college degrees. Meanwhile, Clinton's strategy to win Ohio seems to involve switching traditionally Republican suburbanites turned off by Trump's rhetoric. So in Ohio, Trump has run a disorganized campaign without the clear support of state Republican leaders — and yet there's a subset of people who just love him anyway. Clinton meanwhile, is trying to grab Republicans. So really, Ohio is just like the rest of America. No wonder it's a swing state.